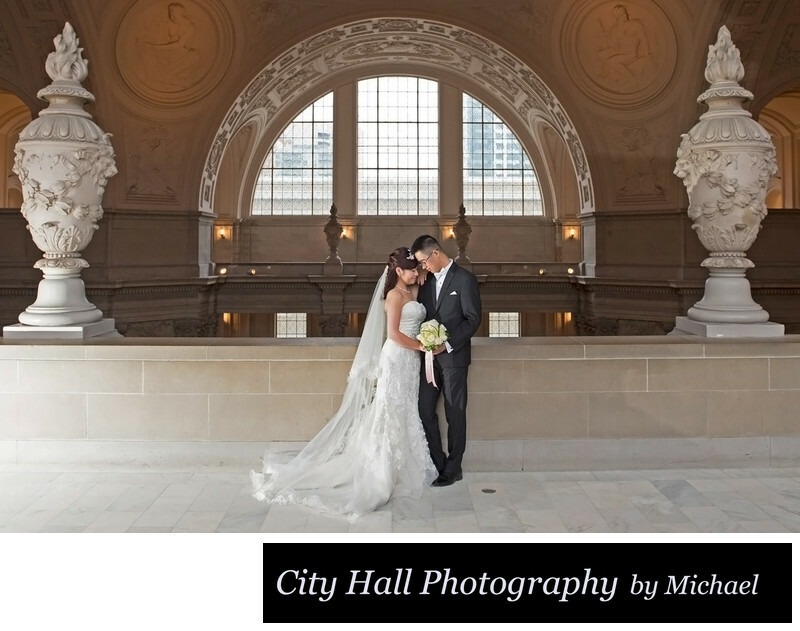 This is the perfect package for couples who come to San Francisco City Hall by themselves and want affordable wedding photography coverage. 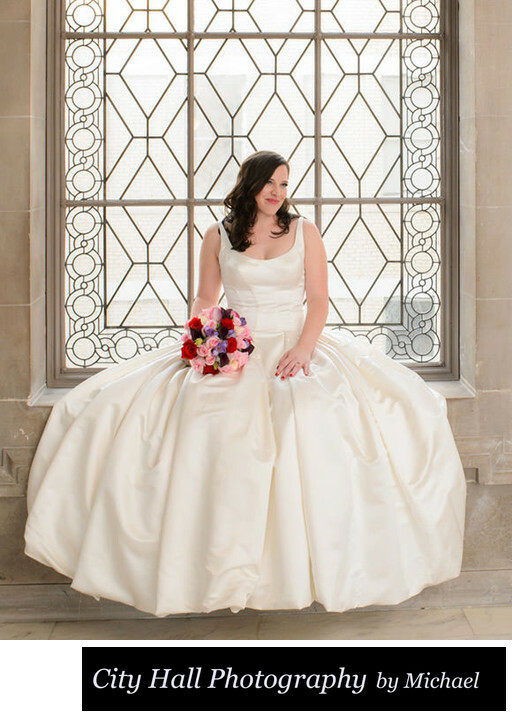 We call this our Elopement package because it's ideal for couples eloping, but still wanting great photos. Since you will most likely be on your own, this package also includes the option of us serving as a witness for your ceremony. We are happy to provide this service for you at no extra charge. Also included in this 1 hour of photography coverage is full ceremony coverage and photos of both of you throughout the building. We end this coverage with a few quick photos outside of City Hall! The cost is $595 for 1 hour of coverage and you receive all of the photos we take at the wedding. 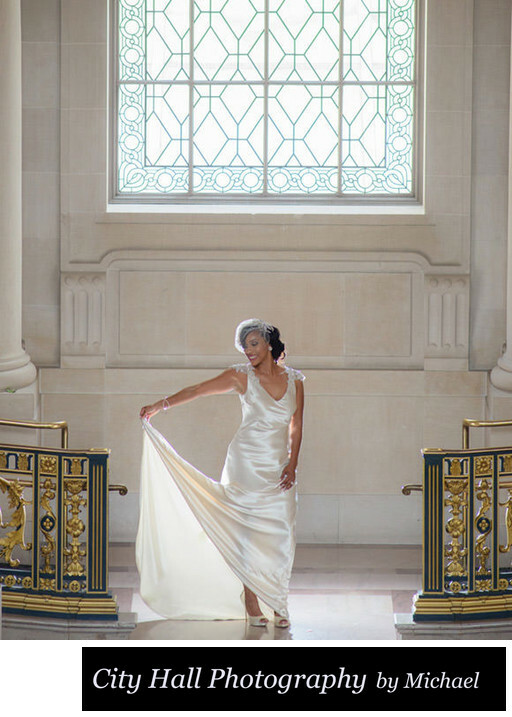 Each photo will be carefully edited, cropped, and color corrected. Your final images with be in full resolution with some samples of Black and White and Sepia Tone. Your photos will be ready in 3 weeks and can be delivered to you by Dropbox direct download. Your own website to view your photos online and share with friends and relatives. This site also allows you to choose "Favorites". Full Resolution jpeg files delivered to you by Dropbox or Direct Download- your choice! 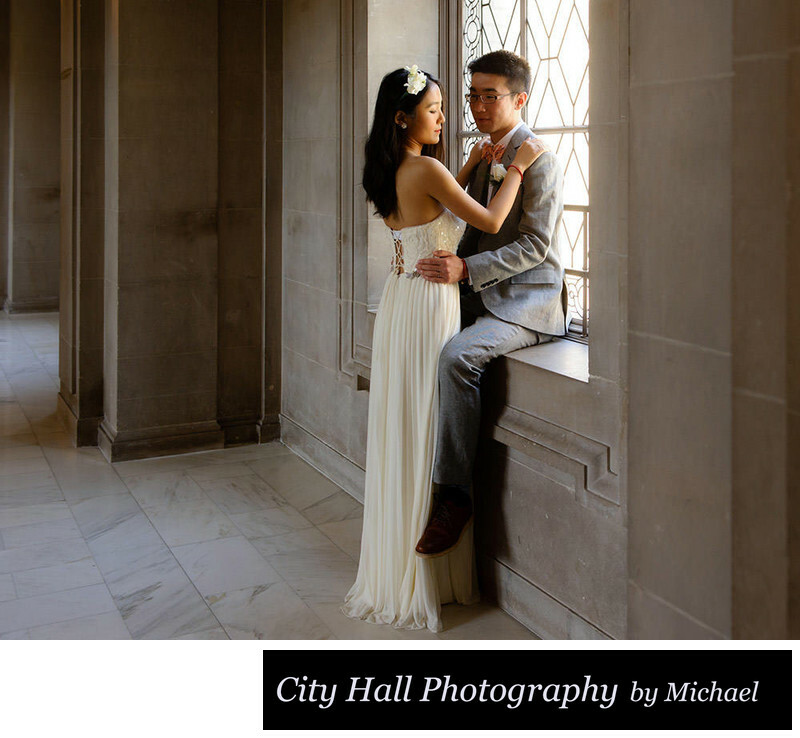 Optional Photoshop enhancement, printing, video coverage and wedding albums - we are a full service San Francisco City Hall wedding photographer. Return to the City Hall Packages page to see more options.